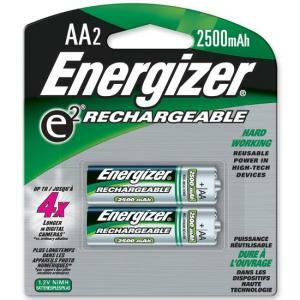 These rechargeable NiMH batteries are the newest, most powerful and durable type of rechargeable batteries. Quick and easy to charge, they last about 1,000 charge/discharge cycles (four to five years of normal use), to save you money every time. Particularly suited for devices requiring high energy development over a short time, these batteries have far higher power reserves than standard alkaline manganese batteries. Batteries are Ideal for everything from digital cameras, portable cassette, portable CD players to notebook computers.